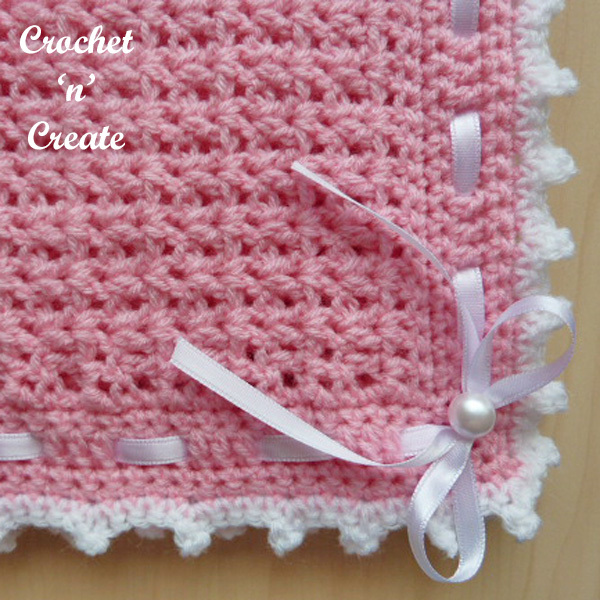 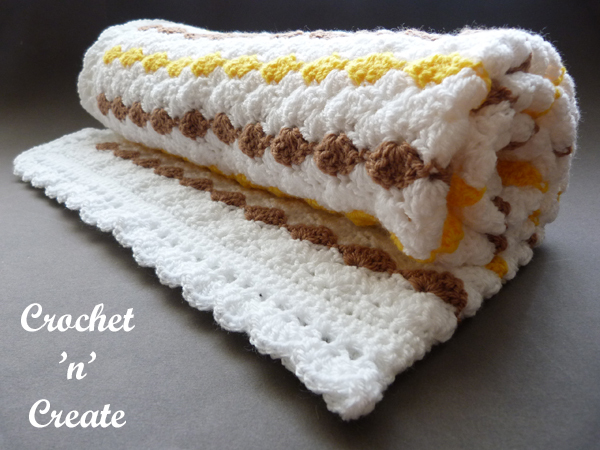 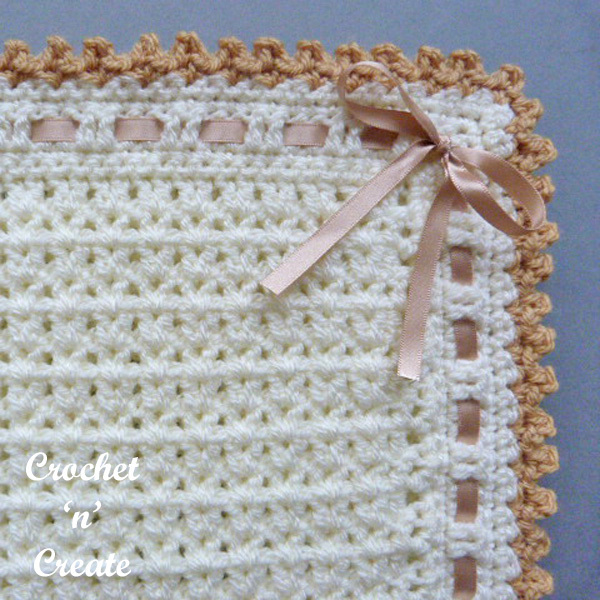 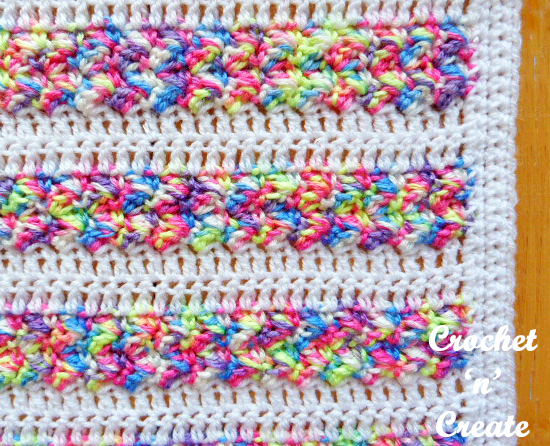 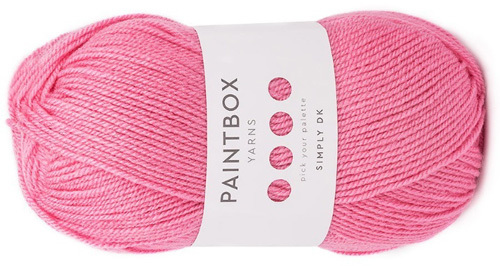 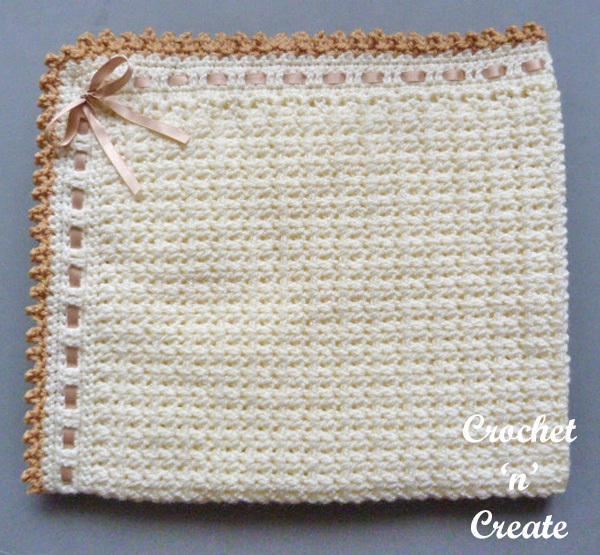 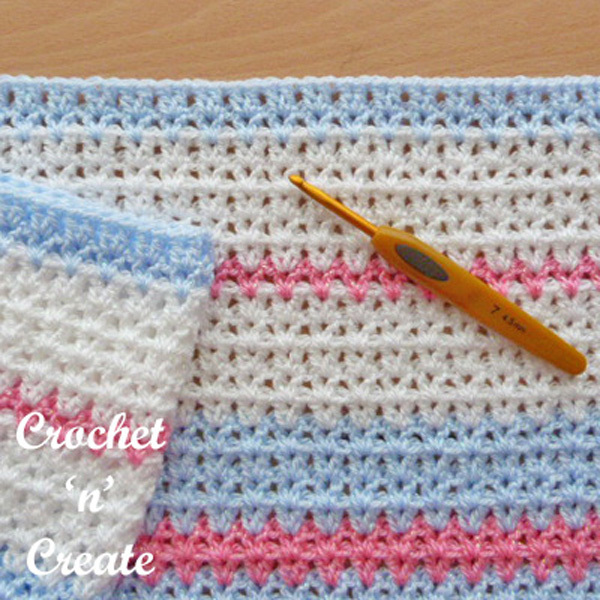 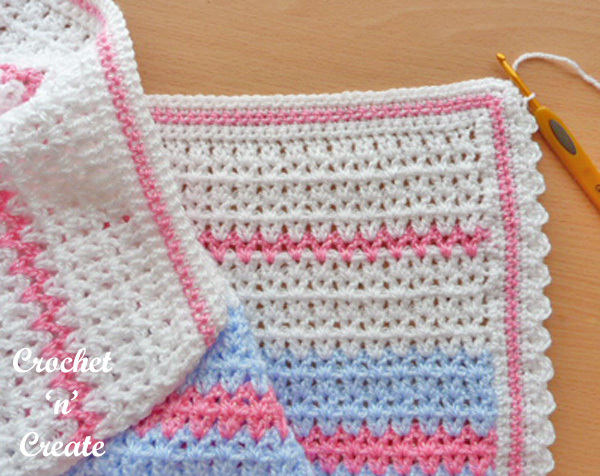 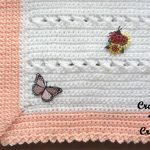 A crochet stroller blanket for your little one or make to give at baby showers or as a gift for family and friends new arrival, made in a pretty textured stitch in a print yarn with a plain color in between. 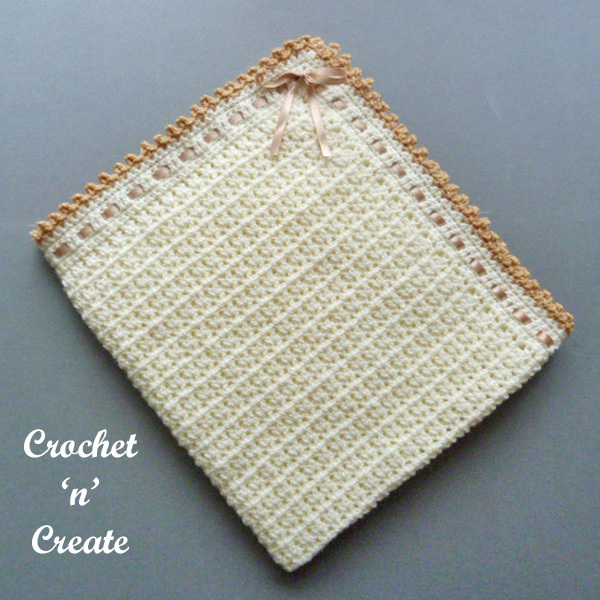 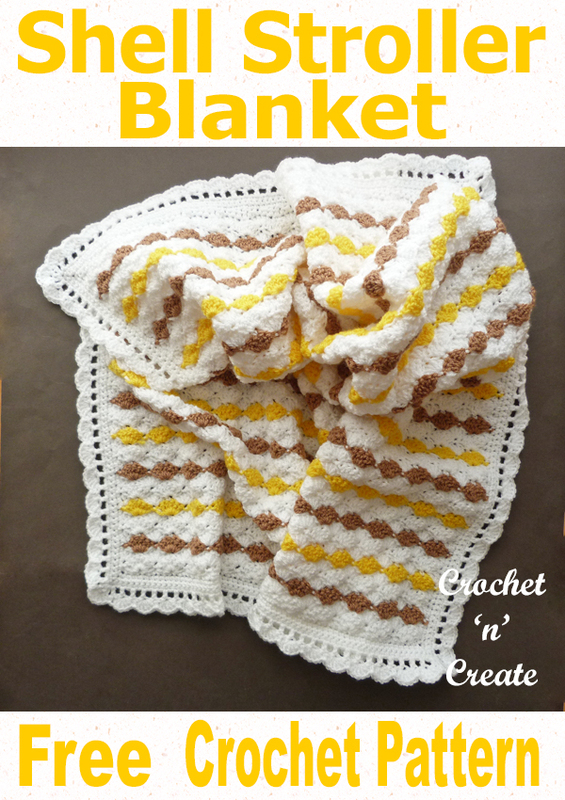 As I have used a large hook size to make this blanket it crocheted up quite quickly and also gave it a lovely soft feel. 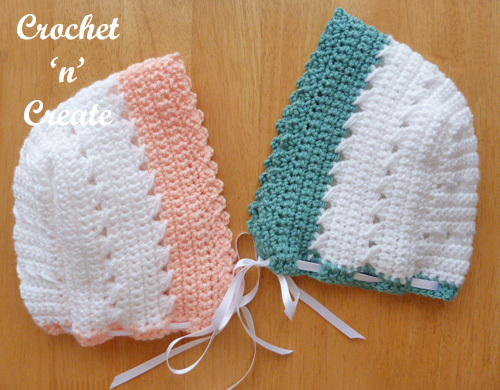 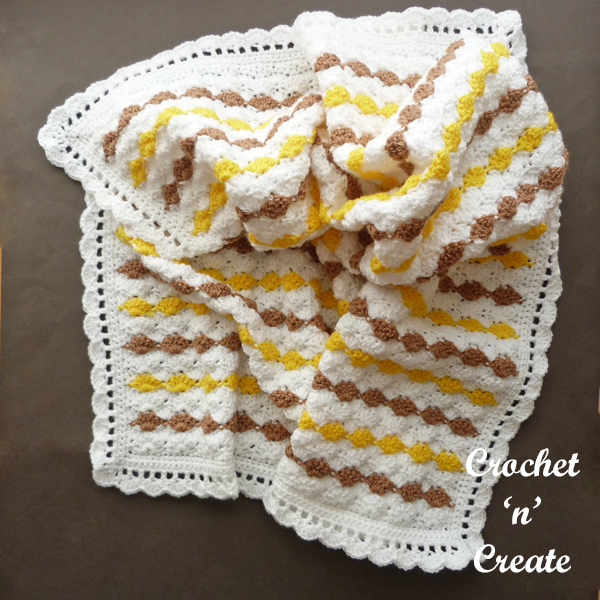 See also my FREE Christening Shawl pattern. 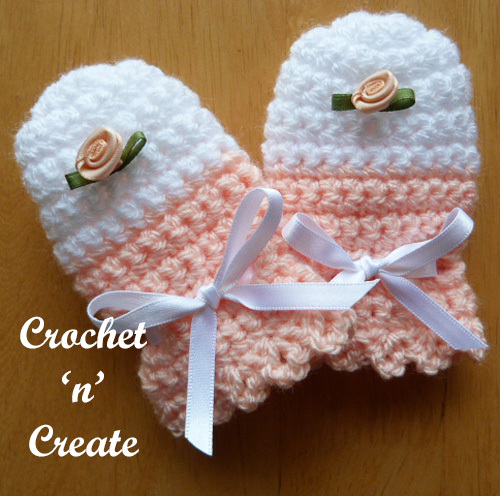 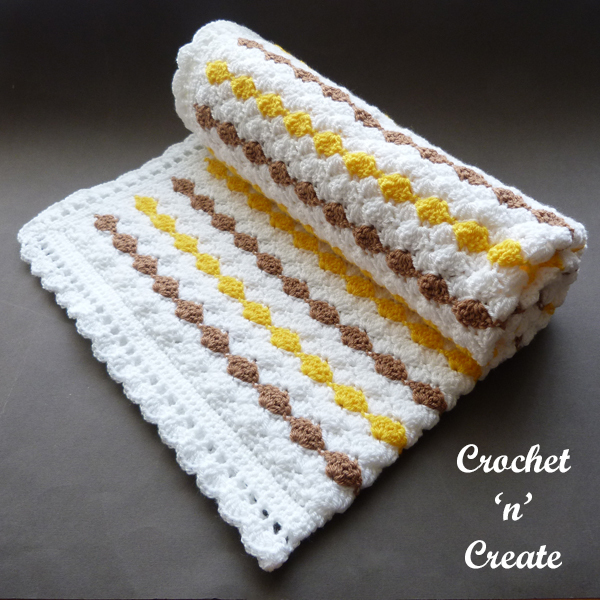 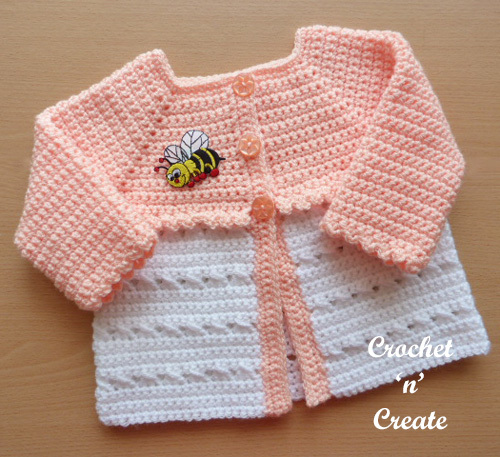 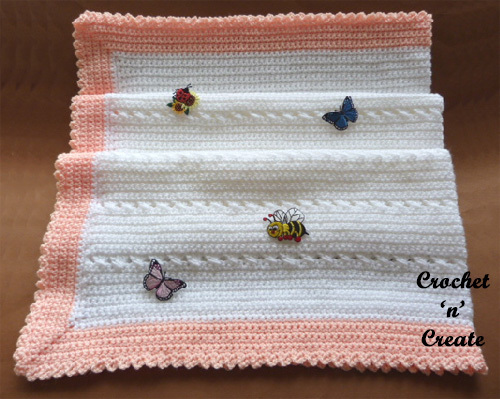 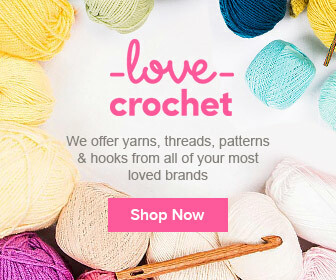 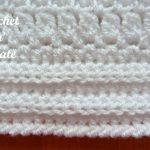 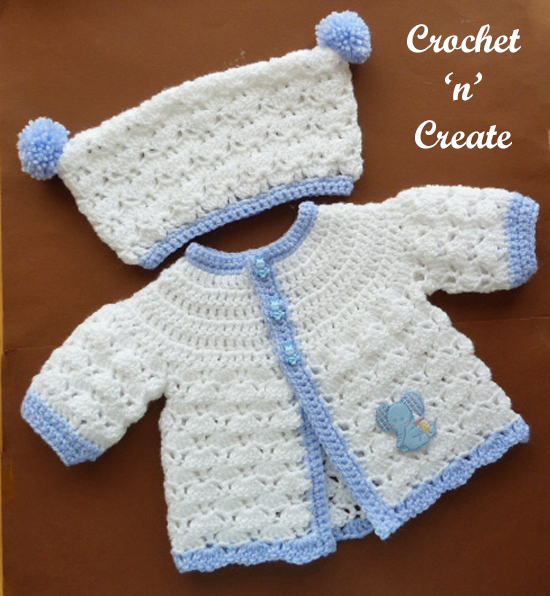 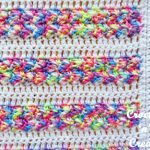 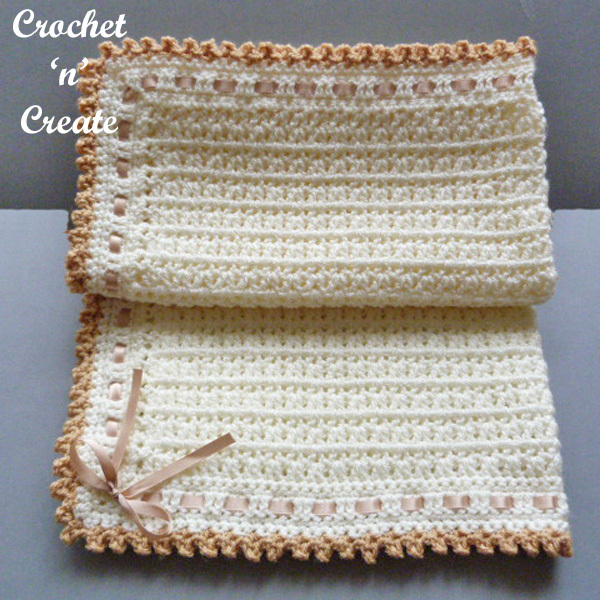 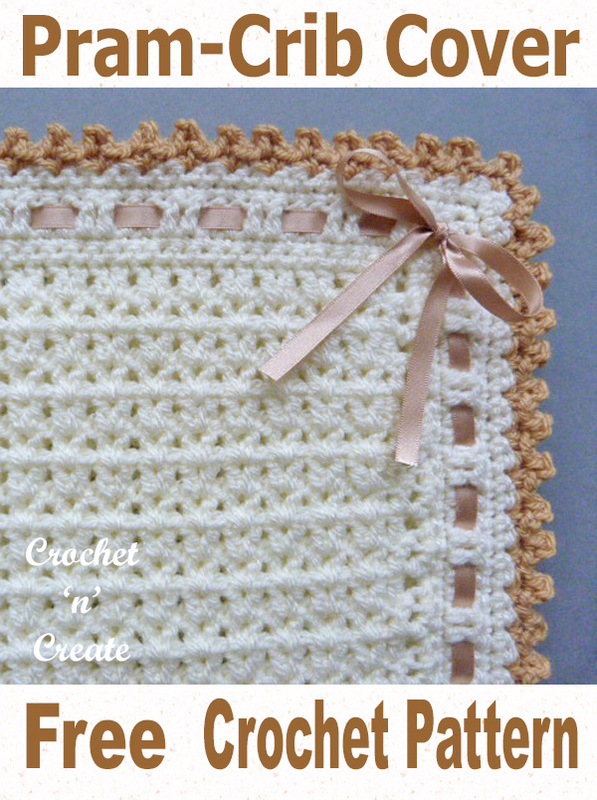 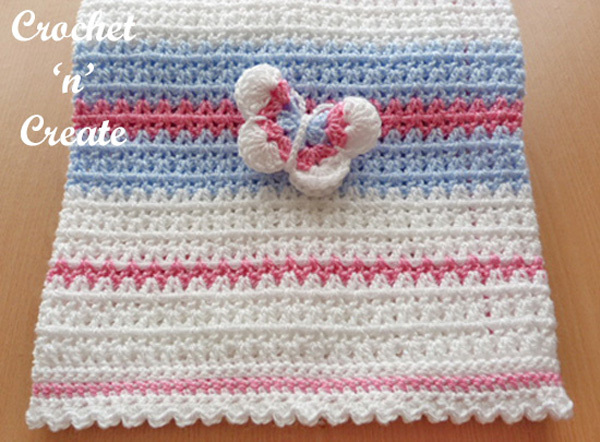 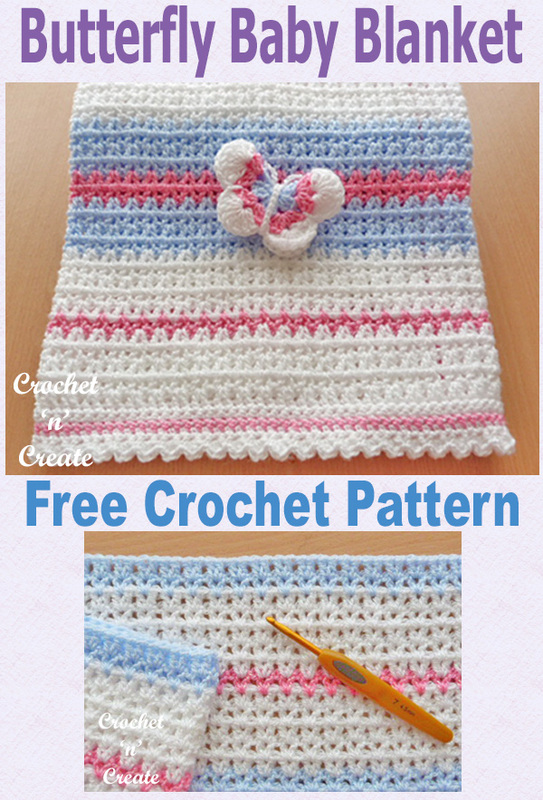 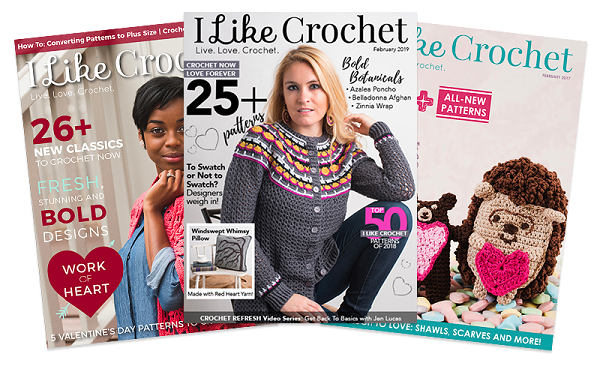 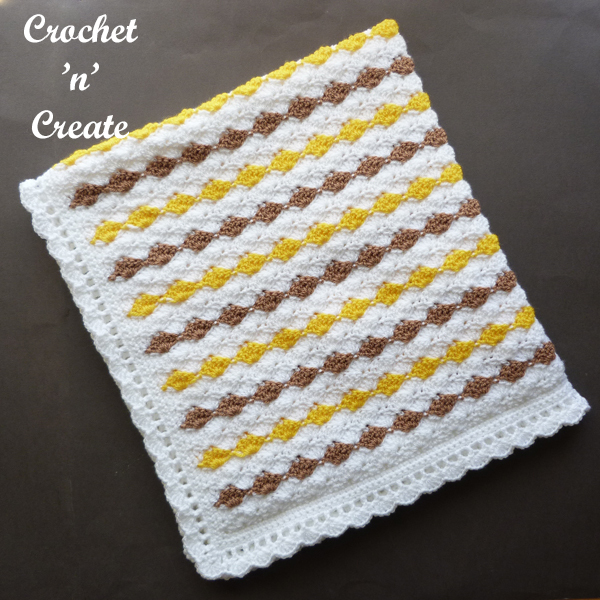 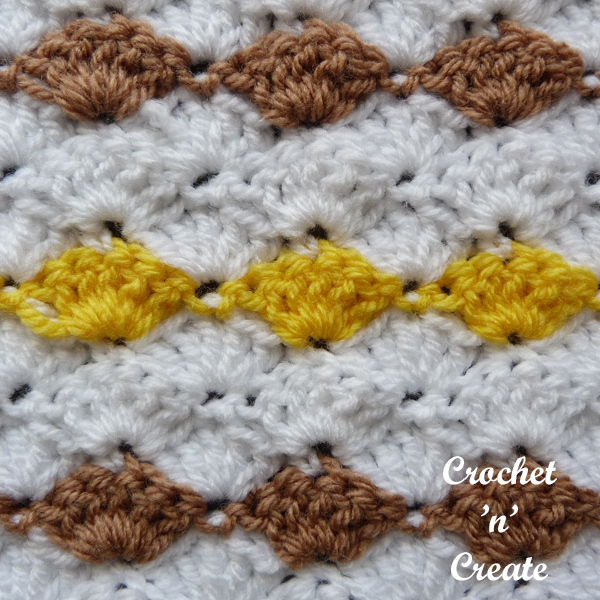 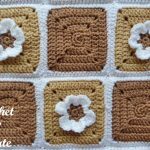 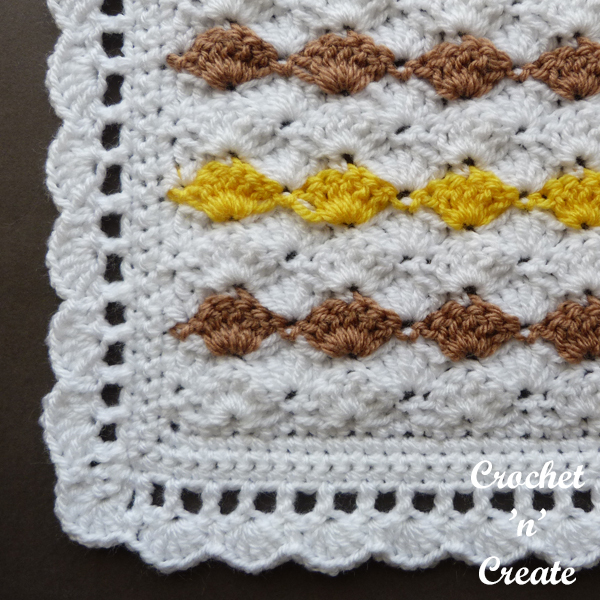 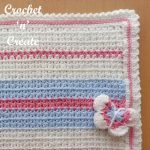 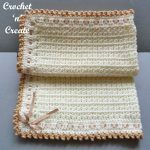 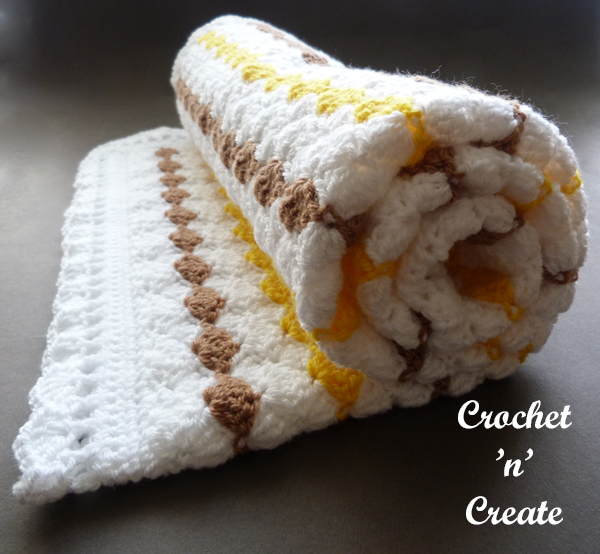 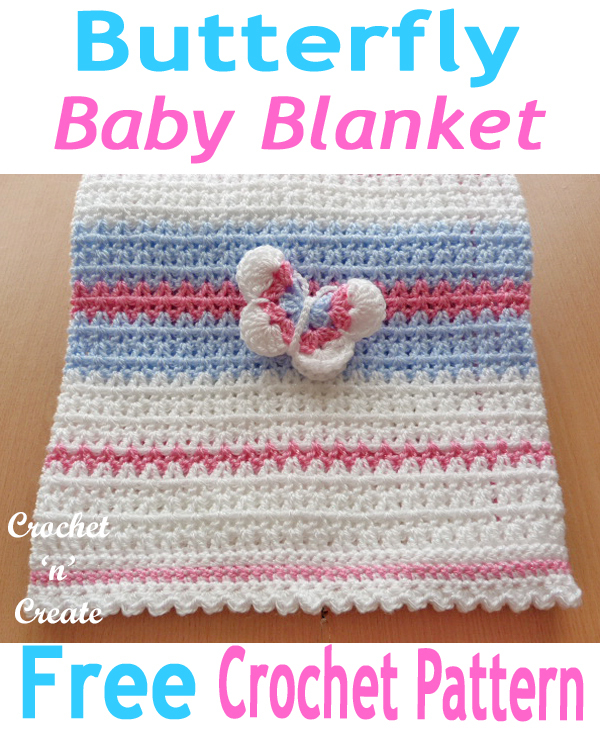 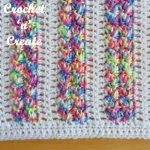 This entry was posted in crochet blanket and tagged baby crochet blanket, crochet, crochet stroller blanket, free crochet patterns on 8th May 2018 by crochetncreate.